Only Admin can approve any Applications. After an Applicant submit an application, the application will be in "Pending" status. 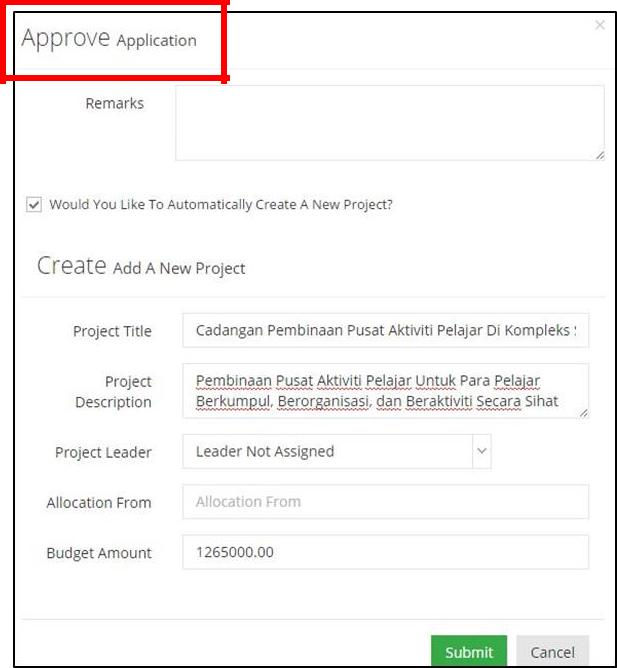 As Admin, list of Applications with Approval Status on admin’s “Applications” page as shown below. 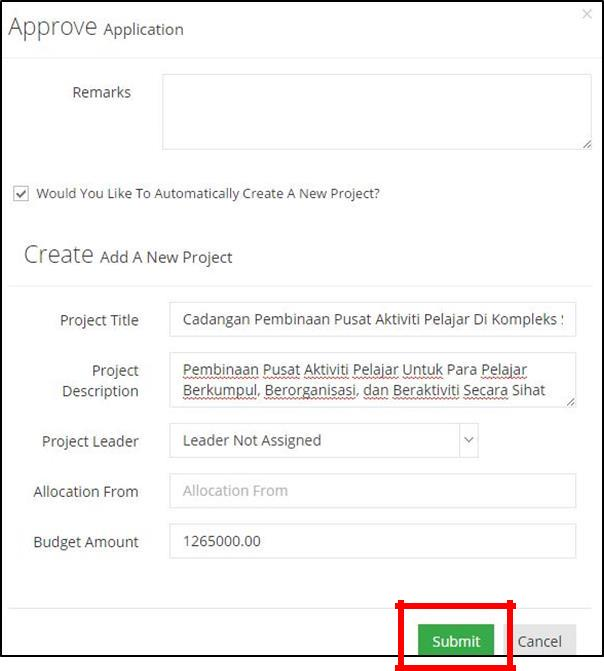 also “Create a New Project” directly by using the “Application” data given before. 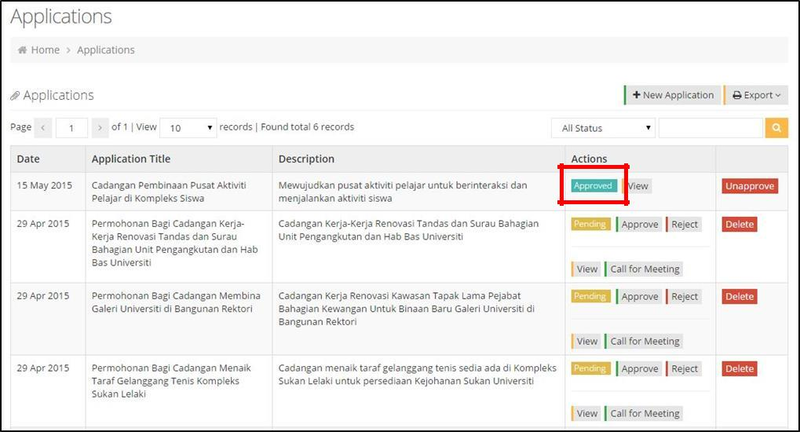 As shown above, the status of an “Application” that has been approved will be updated on the “Applications” list.